With the official opening statements on the overhaul of NASA’s future expected “soon”, the realignment of NASA’s future goals will create a Human Space Flight path that will likely stretch out for decades. The end goal remains footsteps on Mars, but the approach may involve the use of deep space and Phobos as the precursor for a manned mission to the Red Planet. It is still uncertain as to how much of the future plan will be outlined by – or via – President Obama, with some media noting the possibility of some form of a public announcement as soon as next week, or as late as the summer. However, it is known what some selected NASA managers are working on, which in turn is providing some level of information on what NASA will be undertaking in the coming years – pending the big question of NASA’s future budget support. Despite what can only be described as politically-driven armwaving from the Aerospace Safety Advisory Panel (ASAP), very few people of power are taking any stock in their recommendations, notably to continue to focus on the Program Of Record (POR) based around Ares I, and their continued distain at the evaluations to extend the shuttle program past 2010. While Ares I is suffering from death throes, NASA managers have openly noted on documentation that they are evaluating commercial crew launch options for transporting astronauts to the International Space Station (ISS) in four to five years time. Current favorite for providing this role is the Atlas V-Heavy. ASAP’s negativity surrounding extension of the shuttle program centers around a minimum requirement to recertify the vehicles in the event of additional missions – which is the second time such a reference has been made, and the second time Space Shuttle Manager John Shannon has reacting by dismissing their comments. 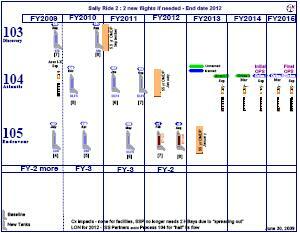 “The ASAP Report has been released. Read it so you can be informed. This report did not mention the certification/verification work done by the SSP since 2005,” Mr Shannon noted on the latest Shuttle Standup/Integration report – available on L2 – before citing an example of just how well the vehicles are performing. However, with only one major effort to extend the program at the political level remaining, the possibility of extending shuttle is become less likely by the month. Mr Shannon also appeared to accept extension isn’t going to happen. With the three superstar vehicles now contemplating a retirement of being poked and prodded by tourists, no one will miss their house calls more than the ISS, which will have to survive on the rations of the Russian Progress, the European ATV, the Japanese HTV and the Commercial Resupply Services (CRS) partners – all of which will not come close to the upmass and downmass capability of the shuttle. Ironically, the ISS is likely to be extended to 2020, despite losing its main lifeline, along with thousands upon thousands of dedicated and world class engineers. However, there may be a silver lining in the near and distant future, as NASA is refocused away from Low Earth Orbit (LEO), with a new Heavy Lift Launcher (HLV) as its centrepiece. As reported by NASASpaceflight.com, a “special team” was set up by NASA Administrator Charlie Bolden to evaluate all the Heavy Lifter options and alternatives to Ares V.
Their findings have since been presented, with the Sidemount HLV losing out to the In-Line Shuttle Derived HLV, which sources claim is based on a Jupiter-241 Stretched Heavy. Members of the “Direct” effort met again with NASA’s top management at NASA HQ just this week. As a result, the SSP has changed its main focus away from the Sidemount HLV to the In-Line concept, as noted in this week’s standup report. “Heavy Lift Launch Vehicle (HLV) (NASA/JSC): The Shuttle-derived in-line activity is proceeding well. A review of how much of the MPS (Main Propulsion System) components can be utilized has been held and the results look promising. While timelines and schedules for the HLV aren’t likely to be known for some time, the roles this vehicle will be used for – past NASA’s involvement with the ISS – remains the main question. Early indications of how NASA’s forward path would be refined showed support for visiting a Near Earth Object (NEO) as a deep space mission – and as noted on NASA’s internal “Flexible Path” evaluation presentation. This may remain the case, although very little has been heard since its section in the aforementioned presentation, bar a few documented mentions that this could be pushed back until after a Mars mission. What has received a large amount of political and NASA attention over recent weeks is one of the other options outlined in the presentation – for manned missions to construct a giant telescope in Geostationary orbit (GEO), and possibly as far as the region of Earth-Moon L1, before being carried to their operational location at SE L2 (Sun-Earth L2). 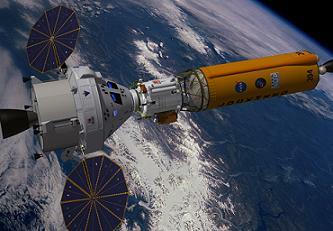 Both the Telescopes and NEO missions would utilize Orion, a Hab/Servicing Node, and ride with a Centaur Upper Stage. Specific mission evaluations have already started at NASA, with support at the Senate level (request was made not to name the NASA managers in this article). However, it remains uncertain if such an approach would come before, after, or even replace a mission to a NEO – although NASA’s internal findings also support the priority of working towards the construction of telescopes as a priority on the roadmap. Notably, all references towards the initial exploration goal of President Bush’s Vision for Space Exploration (VSE) – landing on the moon and setting up a lunar base – have vanished, and threaten to disappear completely from NASA’s ambitions. The big prize always has been – and continues to be – Mars. The roadmap, however, to achieve a Neil Armstrong-style footstep on the surface of the Red Planet is set to change if the Flexible Path approach is confirmed, with the preferred choice to send a human expedition into the orbit of Mars – without landing – before heading to its nearby moon of Phobos. “A human Mars Orbit/Phobos Mission represents an intermediate step between human exploration missions in near-Earth space and human missions to explore the surface of Mars,” opened the expansive section on the manned missions to Mars/Phobos in the 65 page NASA internal “Flexible Path” presentation (available to download on L2). Citing an example mission, NASA managers outlined how they would approach the mission duration for the crew – which would be up to 650 days based on a short stay mission. “This example mission uses an ‘short stay’ trajectory (‘opposition class’). Total mission durations for the short-stay missions range from 550-650 days, with 30 to 40 days in the vicinity of Mars. Over 95 percent of the total mission time is spent in the deep-space interplanetary environment with the balance spent in the vicinity of Mars. As to when such a mission would be viable to launch is unknown. However, it would involve a large ramp up in the use of the HLV – with up to 15 launches of the heavy lifter to send all the elements of the Mars Transport Vehicle (MTV) into LEO for assembly. 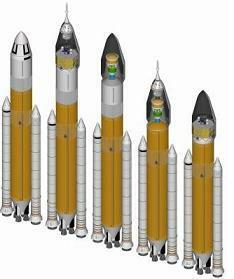 For the purpose of the presentation’s example, Ares V and Ares I are illustrated – although neither are cited by name in the presentation – along with a MTV that is made up of numerous propulsive stages, a large Hab Module (CTV) and Orion. “The mission begins with the launch of the Crew Transfer Vehicle (CTV). Propulsive stages for the major in-space maneuvers are launched next. Due to the wide variability of the short stay class trajectories the number of propulsive stages varies with opportunity, as will the number of HLV launches,” added the presentation. Incidentally, the example mission involves a fly-by of Venus on the return leg – and the closest man has ever been to the Sun – along with possible flybys of several asteroids. “On arrival at Mars the crew propulsively captures into orbit and eventually maneuvers to Phobos rendezvous. After a 40 day stay in the vicinity of Mars, the crew departs for Earth return. 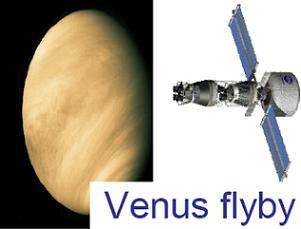 The return leg is targeted for a Venus flyby to reduce the propulsive requirement. The NASA authors then focus on why they approached Mars via a “Phobos-First” mission, noting it was first suggested by the Augustine Committee. “Our choice to include a short-stay human visit to Phobos as an example step toward humans-on-Mars is outside the framework of missions extensively analyzed by recent agency Mars mission planning, which have focused on Mars surface missions themselves. In fact, the presentation goes on to support the idea of targeting a landing on Phobos prior to a manned mission to the surface of Mars, citing formidable challenges with the latter. “Augustine Committee advocated a trip to orbit Mars and/or rendezvous with its moons prior to a trip to land on Mars. Such a trip nominally lasts three years, but could be made shorter with significant delta V penalty. 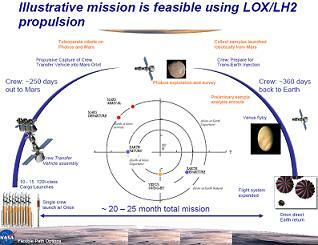 “2-yr mission (30-45 days at Mars, all-chemical propulsion) requires ~10-15 HLVs and a Venus flyby. 3-yr mission (1.5 years at Mars, all-chemical propulsion) requires ~5 HLVs. 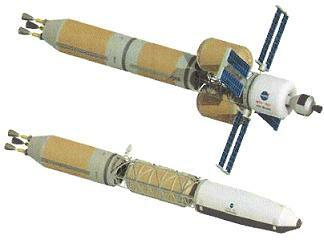 ~3 HLVs if nuclear thermal propulsion (see image left). “On the first trip to Mars, why go all that way but not land? Formidable challenges of EDL (Entry, Descent, Landing) and ISRU (in situ resource utilization), and expense of surface systems, add to an already formidable list of other challenges. Further comments are made to support a Phobos mission as a precursor to a manned mission to Mars, primarily from two standpoints; a learning curve for a future mission to Mars, and the Mars science that can be gained from Phobos. “The mystery of the origin of Phobos can be resolved, and its evolution since formation can be investigated by field geologists on site in contact with a larger team back on Earth. As a possible D-type (organics-rich with possible interior ice) asteroid, it offers science beyond what is readily available in the NEO population, and can shed light on the objects that delivered the initial inventory of water and organics to the surfaces of Earth and Mars,” the presentation continued. “Returned samples would contain a record frozen very early in the formation of the solar system. The work would benefit significantly from a conjunction-class mission (540 days vs. 40 days at the target), since Phobos is a large and diverse body. Supported by robotic companions such as Rovers, the astronauts would focus on collecting science samples for return to Earth and search for water ice – all whilst in the shadow of the Red Planet. “Operation of Mars rovers from Earth is limited by the light time and communication opportunities to once-per-sol driving and articulation commands. From Phobos, a landing site would be visible about twice per sol for four hours each time, so on the order of four hours per sol during daylight. “Two rovers with sufficient longitudinal separation could be operated by a single astronaut during a reasonable workday. The almost zero latency would permit vastly more efficient field work and sample collection on Mars than possible if they are operated from Earth. Even joy-sticked driving would be feasible, allowing the rovers to cover much greater distances. “The ability to interact with the environment in real time would significantly improve our understanding of the geology and our ability to select samples that best reveal the physical and biological history of Mars. Samples can be launched into orbit for pickup by the crew, or for later pickup by robotic return orbiters. This work would also benefit significantly from a conjunction-class mission. 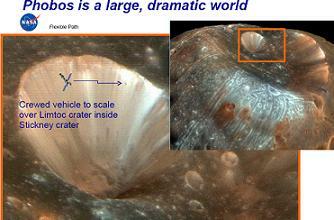 Regardless, Phobos presents a number of Mars-like challenges to a manned mission, and certainly isn’t an easy route. However, the benefit of taking on Phobos would allow NASA engineers and astronauts to learn how to approach a subsequent Mars mission by proxy. “One of the significant advantages a Phobos mission would be to demonstrate many of the technical and operational approaches needed for Mars missions without yet having all the required systems, or committing the crew to a full-duration surface stay. 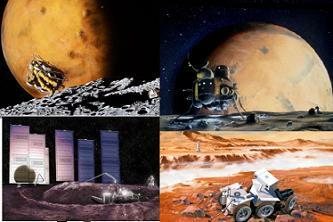 A Phobos mission could drive and demonstrate solutions of these items. Such challenges mainly relate to the safety of the crew – which in turn would focus engineering efforts via the design of the MTV/CTV and Orion. “Passing closer than 1 AU distance to the Sun poses significant mission, vehicle design and human health issues which the mission approach must be designed for,” added the presentation. 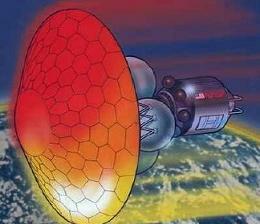 “Radiation Shielding: Additional shielding mass to protect from solar flares during solar maximum. Since the strength of the radiation dose is inversely proportional to/or dose to the crew. Potential risks are higher risk of carcinogenesis, acute syndromes, CNS (central nervous system) effects and degenerative effects due to longer transits. “Thermal Control: Vehicle heat load increases with closer perihelion passage. Deployable sun shades are probably required for short-stay missions to shadow critical vehicle components and areas. Deployable radiators and additional active cooling loops may be required. “Vehicle Orientation: Due to the increased thermal and solar influence, vehicle systems including solar arrays and sunshades must be positioned relative to the sun with tighter control in order to prevent overheating. “Launch vehicle campaign: The shorter total duration of opposition-class missions comes at the expense of higher total delta V, and this varies significantly with opportunity. The net result is a need to launch more in-space propulsion elements, compared to the longer, long-stay conjunction-class missions. “In addition, spending an entire Mars mission in microgravity (rather than interleaving a 500+ day stay in the 3/8 g environment of the Mars surface) would be far outside current human micro-g experience envelope (n = 1 @14 months) no matter which trajectory option is used. 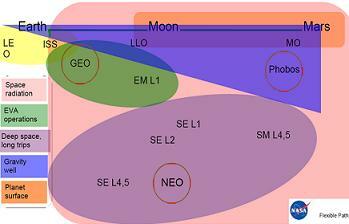 Several additional elements surrounding the technical aspect of comparing a mission to Phobos and Mars are also outlined, prior to a supportive conclusion that outlines Phobos as the best “legacy” for a Mars mission. “A human Mars Orbit/Phobos Mission represents an intermediate step between human exploration missions in near Earth space and human missions to explore the surface of Mars. Key features could include demonstration of inspace hardware elements designed for Mars missions while accomplishing scientific and exploration objectives both at Mars and on Phobos. 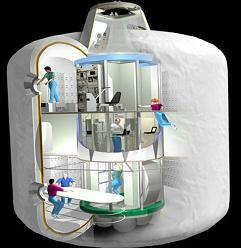 “This mission could build on prior deep space missions by human crews in Earth-Moon space and to NEOs. It would leave a legacy of better understanding of both Mars and Phobos, along with a foundation for human missions to the surface of Mars. “Achieving that legacy through such a mission would require meeting some unique challenges not needed for subsequent Mars surface missions. Key Accomplishments: Human round trip to Mars orbit. Phobos and Mars sample return for analysis in terrestrial laboratories. A final article based on the Flexible Approach presentation will be published at the time of the first official announcement via NASA/the President.